Auto transmission prices for all web sales are now decreased at the GotTransmissions.com company. Ford, Dodge, Honda, Chevy, Toyota and Jeep units in stock are now sold for prices less than regular company prices. Domestic shipments to states excluding Hawaii and Alaska are now shipped without freight fees for all used gearboxes sold. Transmission replacements are one of the costly repairs that car owners can undertake during vehicle ownership. The GotTransmissions.com company is now reducing its auto transmission prices for all web sales at http://www.gottransmissions.com/blog/used-transmissions-2/auto-transmission. These prices are scheduled to stay in effect through the rest of this year online. The current markdown for inventory applies to the manual and automatic units that are marketed by this company. These include Ford, Chevy, Dodge, Toyota, Honda, Chrysler, Plymouth, Isuzu and Jeep units. The different technologies that are created by these automakers are represented in the types of inventory now promoted online. "Buying a used transmission with low mileage is one of the keys to a successful installation," said a salesman for the Got Transmission company online. Vehicle owners seeking ways to increase the longevity of an installed transmission could benefit from the low mileage units now promoted for sale. The price decreases that are currently announced are combined with different policies that have been launched this year by the Got Transmissions company. 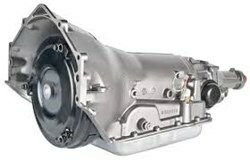 Methods to lower or eliminate the cost of transmission shipments are currently in place for buyers in every state of the U.S.
"Domestic shipments to states excluding Hawaii and Alaska are now shipped without freight fees for all used gearboxes sold," the salesman confirmed. These free programs are part of a restructuring of website sales conducted earlier this year. The current price levels, warranty information and exact shipment details can be researched online using the company homepage as a starting point for researching any transmission type in stock. The GotTransmissions.com company currently sells used transmissions for sport utility vehicles, pickup trucks, passenger cars and other vehicles in the U.S. The entire preowned inventory that is marketed and sold by this company goes through inspection processes and other evaluations to verify quality for consumers. The GotTransmissions.com company website features online quotation tools that remove the stress retailers can encounter when trying to locate discount pricing online. The shipment policies in use by this company make shipments free of charge for all buyers.